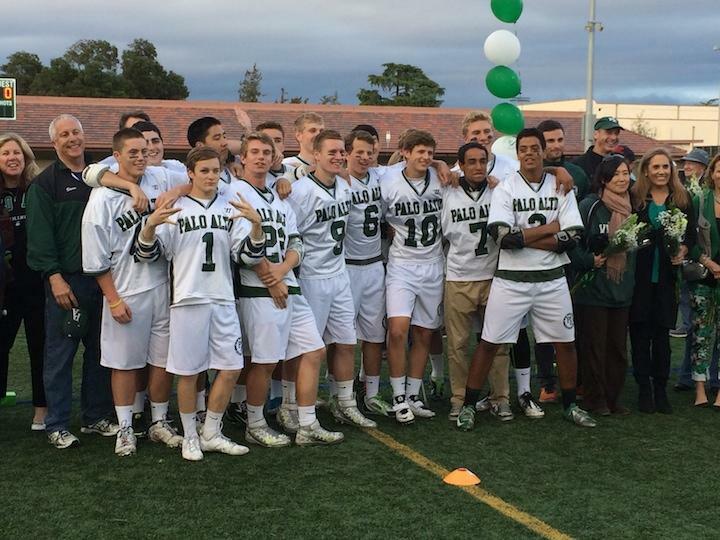 In a game that was closer than expected by many, the Palo Alto High School boys’ lacrosse team pulled out the upset victory against Sacred Heart Prep, 11-9. On a night that was about the graduating class of 2014, it was the departing seniors that ultimately played the biggest role in handing SHP their first league loss of the season. The Vikings had been preparing for this match all season along, according to Coach DJ Shelton. 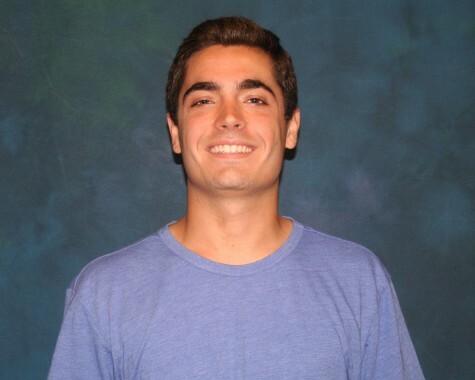 Jordan Gans (’14) then scored his first of five goals, running at the SHP defense before finishing into the corner and increasing the score to 4-1. Before the end of the first quarter, there was a controversial play. McCalister seemed to shoot the ball through a hole in the top left hand corner of the SHP goal. Despite persistent appeals from the Viking’s sidelines, the ghost goal was not given by the referees. The second quarter started in the same vein as the first, with McCalister scoring again to take the score to 5-1. It was an ominous sign of things to come from Paly when Gans hit the pipe of the goal, as the pressure started to mount on Sacred Heart. Sacred Heart scored twice again in the second quarter after Gans scored another two goals to take the score up to 7-3. During the third quarter, both McCalister and Gans scored another two each, to increase the score to 11-4. SHP then scored another to take the score to 11-5. Due to the increasingly physical nature of the game, by the fourth quarter, the Viking defense seemed to tire out. As a result, Sacred Heart scored four times, leading to a nervous finale for the home team. Despite this, the Vikings won the game 11-9 and many thought it was the best win of the year so far. The Vikings next game is in the Santa Clara Valley Athletic League (SCVAL) quarterfinals at home, next Monday. Olivia is a senior and plays on the Varsity girls' water polo team in the fall. She is an avid fan of all professional Boston sports teams.